Determine where and how energy is being lost, what systems are operating inefficiently and what cost-effective improvements can be implemented. Go Green DIY has defined three types of energy assessments for existing homes which range in complexity from a simple but effective walk-through survey to a performance audit using diagnostic equipment and computerized data analysis to a comprehensive home energy rating utilizing the most sophisticated modeling software to produce a home rating score on the HERS Index. These options, listed from least complex to most complex are explained below. 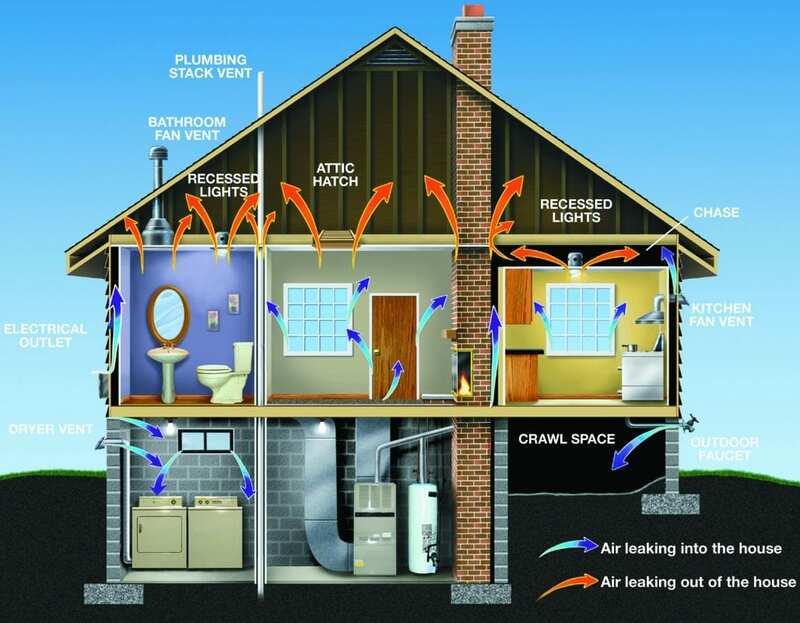 Building envelope features (windows, doors, insulation, ducts) and agesHeating, cooling and ventilation equipment types. A Building Performance Auditor (BPA) conducts a whole-house evaluation and performs analysis to identify and prioritize proposed treatments for improvements. The detailed report will provide suitable retrofit recommendations and specifications and guide the homeowner to the appropriate Solutions.